Brett Halper Noooooooooo.....you can't drill the UCS Falcon !!! Christian Nanini Agreed, that should work well. Brett Halper If you're comfortable with resistors, etc. (which it seems you definitely are! ), then you should be able to get the brightness you're seeking. Keep us posted and if you do come up with a dimming solution for the flashing LEDs, please post in our DIY section-- I know others would enjoy seeing your work. OK so in looking at the PDF instructions (thank you LEGO for posting them! ), I found the parts needed to build the laser cannon assemblies, and put in an order for the parts. I'd like to see if we can sell pre-assembled gun units with red LEDs inside the Technic half pins. If so, we would be able to provide this along with our 2-port effect controller to make an all-in-one solution for your Falcon cannon needs. Would this be interesting? Rob Klingberg Yes, I'm a working EE, so I'm capable. To your other post, yes I think it is worth doing. Given the popularity of the set, I think it should /will sell well for you, especially if included it in a larger lighting kit. Brett Halper Thanks for the feedback! i ordered a few parts too. 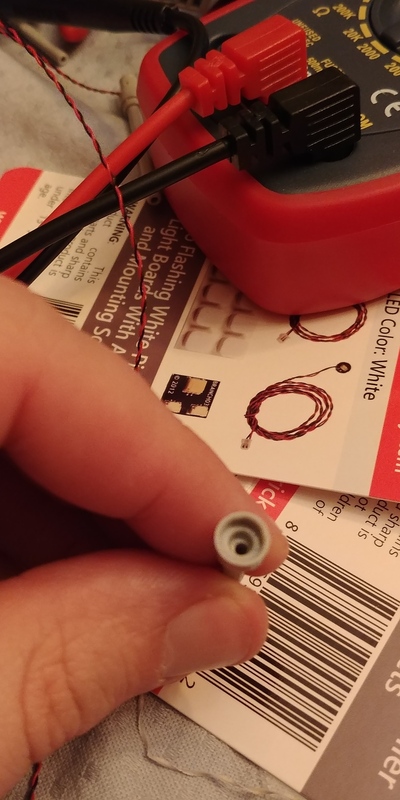 I think I can hide the wire pretty good through the small tube-like black connectors and into the turrets. 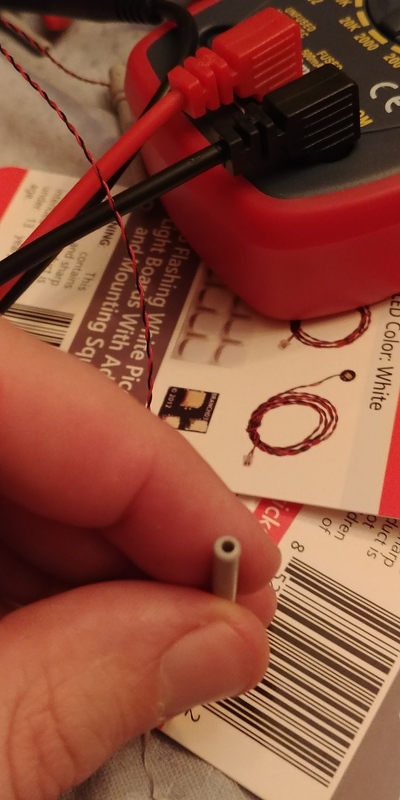 I ordered 4 light sabre red to replace the canon grey stick and will put the red led inside the grey round block where the light sabre will et Connected. Hook them the the LEC laser canon effect and it should work. What parts were you thinking about changing? Christian Nanini All my lights are the standard warm-white pico LEDs. Having the flexibility to use whatever plate/stud ontop is important. 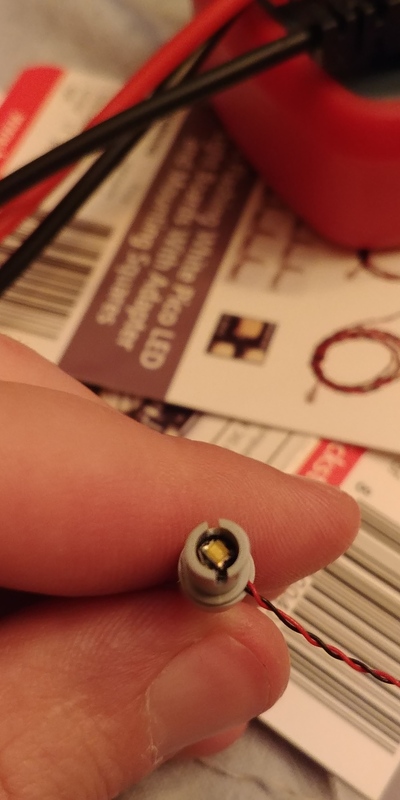 I cover almost all of my lights with some non-translucent 1x1 plate as I find looking at the LED directly to be very bright and offputting. 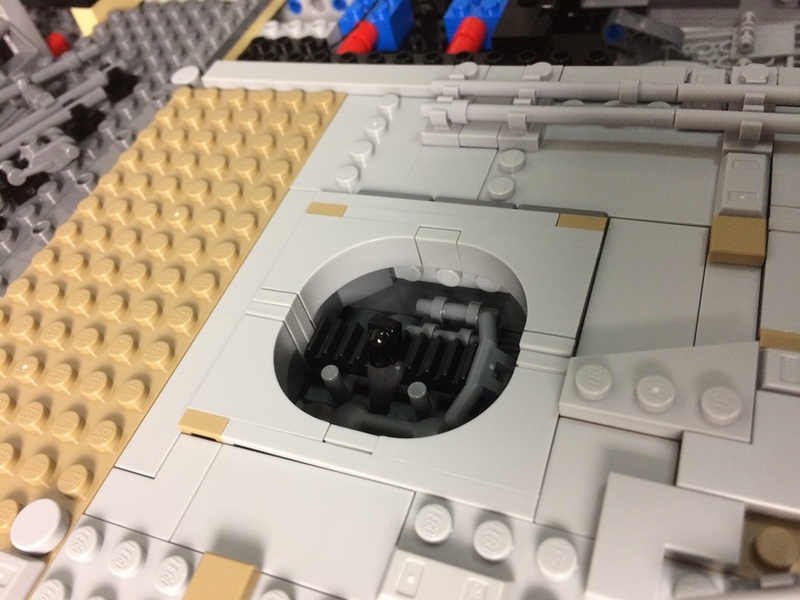 As for the cockpit, the blue lights come from the two lights on the sides of the cockpit, as simple as a 1x1 trans-blue stud with a grey 1x1 plate ontop. 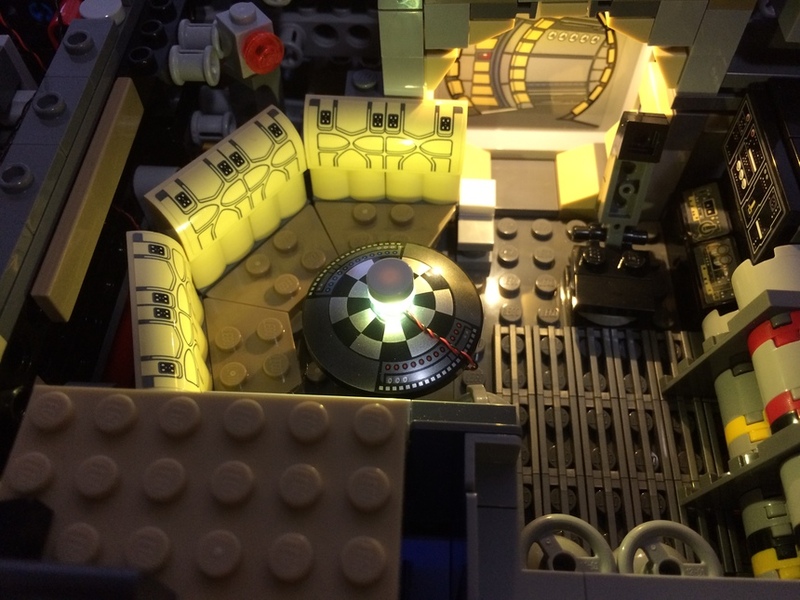 The yellow light that balances it out is a 1x1 plate that I have on the tip of the center control console. I can take more in-depth pictures once I get home without the lights on so you can see if you like. Brett Halper I knew it, thanks for the tips. I will try when I receive my new lights this week. I will try to put one on the Dejarik table to light it up. 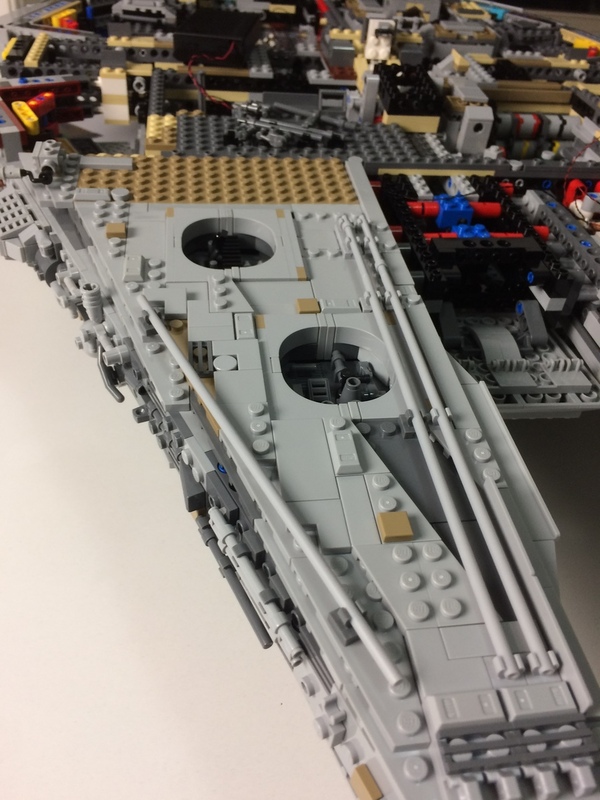 Christian Nanini love to see what you come up with for the table, that is the one piece I'm not thrilled about (not counting the engines... Yeesh they are bad). Rob Klingberg Christian Nanini started to play around with this (laser cannon leds). The technic barrel is solid, so due to my ocd about having wires showing, I took a very small drill bit and attempted to drill through. Made it about 90% then it popped out the side. I'm confident I can get it right with the spares I have. They plan then would be to route the wires through this. From there either try to mount a red Pico inside the half pin... OR... place a red stud onto the barrel then the half pin on that. Will keep you all updated as I work on it. Brett Halper Thanks for the update-- that's our plan as well. Drilling through small items like the barrel is difficult-- hopefully you have a good drill press and some very small drill bits. These are the ones we use, along with this drill. LEGO parts themselves also make good drilling jigs. Keep us posted! Rob Klingberg nope, just a hand held drill! I did make a little jig from Legos to hold it. Brett Halper one down before I headed into work. Found it useful to drill halfway through from one side and then go from the other. Brett Halper can you post a picture so I can see what you are doing? Confirmed you can fit a pico led inside the half pin, but need to cut a lot of the PCB. Going to order some red LEDs and another LEC. Then going to bricklink some trans-red pipes (and hopefully some trans-clear) to complete the setup. I think it looks good like this even in the dark, blue clear with a grey flat on top, wire underneath, under the post, under the seat The table is nicely lit. I just don’t want to drill through my legos!!! Christian Nanini Just noticed you had the light ontop of the table...going to have to try that...AND DRILL! Brett Halper you’ll like it. Most likely drill just beside the light to pass the wire underneath the table. It illuminate the table very good without being too bright. Christian Nanini That's a great place to mount the sensor! Keep posting the great photos!